Now there’s not many people that can list those as their first month’s duties! My first week saw the opening of HighTide’s first production of the year, The Sugar Coated Bullets of the Bourgeoisie by Anders Lustgarten at the Arcola Theatre. This was an exciting time to start with HighTide and the run up to opening night saw me do my very best haggling for props in China Town to assisting with the running of press night. 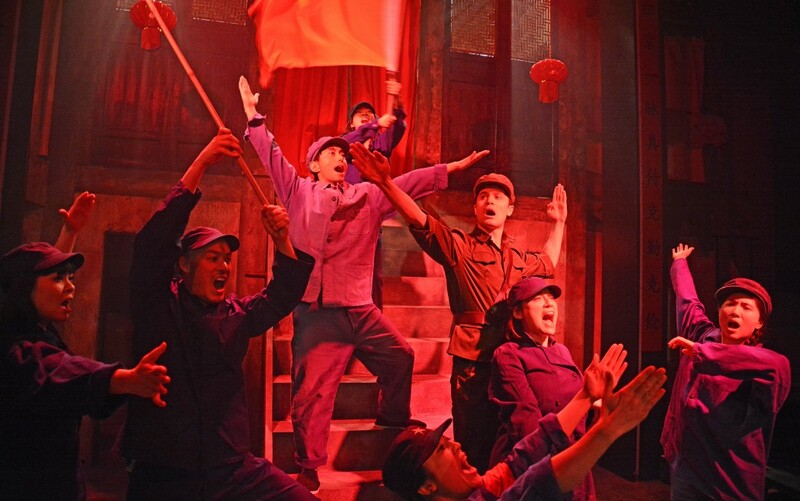 It was great to see the Chinese village of Rotten Peach come to life in a little corner of North East London, with the hard working cast and crew creating an important and successful production. We are all very much looking forward to welcoming the show back to Aldeburgh in September for the HighTide Festival! 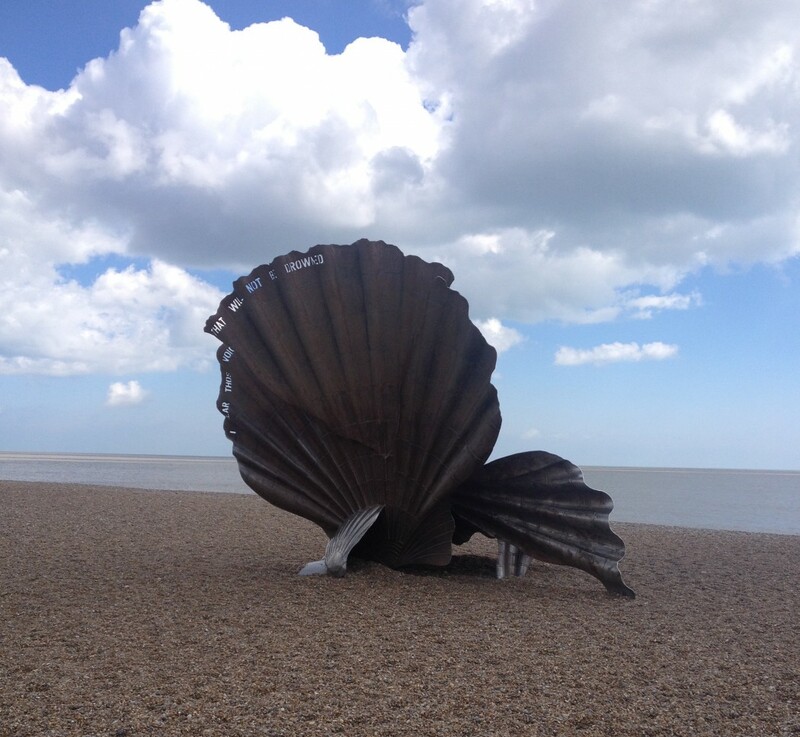 Another highlight of my first month was a visit to Aldeburgh, the Suffolk home of the HighTide Festival. Myself and Freddie, our Marketing Officer, took a trip to distribute brochures to Aldeburgh and the surrounding Suffolk towns. We were gifted with gorgeous weather and spent two lovely days spreading the exciting festival programme to enthusiastic local residents who were pleased to get their mitts on our ‘Adventurous’ brochures. The smell of sea air (and fish and chips) got us very excited for September to roll around. It was also my first chance to take a look at the venues for this year’s festival before HighTide works their magic in turning them into custom theatre spaces for the whopping 80+ events we have at HighTide Festival 2016. Not a bad couple of days’ work! My time here has also seen the team grow with the addition of Robyn, our General Manager, Marcelo, our New Work Manager and Andy, our Creative Associate. As a well-oiled machine we have been busy working hard at developing this year’s programme and making HighTide’s tenth year the biggest yet. Within this, I have been hard at work organising the Symposium at this year’s festival bringing together a dynamic mix of theatre figures for a great day of vibrant discussions and workshops on the current and future theatre landscape. In addition to this, we also met with our new cohort of First Commissions writers. The five talented emerging writers will be developing their unique ideas into full length plays with us over the next 18 months and we can’t wait to help them on their journey. So, all in all I think it’s fair to say my first month has been a busy one! I quickly learnt that the beauty of this role is the variety of duties I get to do every day, and I’ve absolutely loved talking to and meeting an exciting array of people. If you have any questions or want to chat more about what is going on at HighTide then I am your first port of call and I would love to hear from you!